Please join us on Tuesday, November 10 between 11 am and 1 pm for our Christmas Boutique. Our women have been working hard, handcrafting quilted and other holiday items to sell. The price range of most items is from $3 to $35. Ten quilts will be sold for $125 each. (All sales are cash only. All proceeds will benefit the women who made the items.) Click here to view, print and share the flyer. Two of the beautiful runners that will be sold are pictured below. We hope you'll be able to join us. 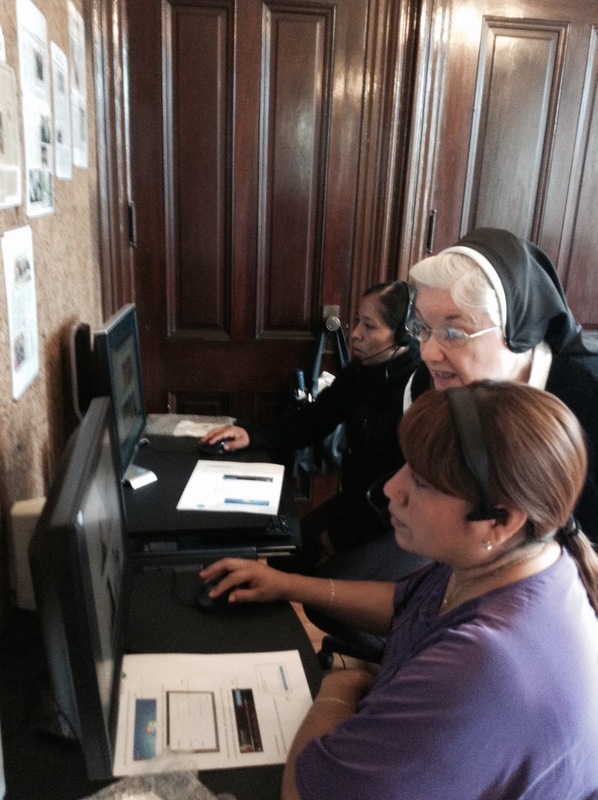 As we reported previously, a generous grant from the Sisters of Charity, Convent Station, has permitted us to purchase Rosetta Stone software for our English learners and to pay for an instructor to get the women "up and running." Today's photos show how well received this program is. For the first few sessions (or as many sessions as necessary), they will receive instruction from Sister Gerardine Tantsits, SCC, our Rosetta Stone expert. After that, they can come when it is most convenient for them and work at their own pace. 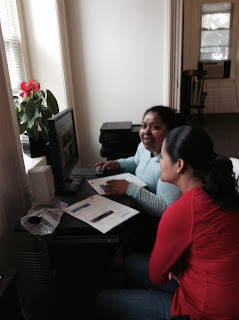 Sometimes, the women help each other . . .
. . . and sometimes Sister Gerardine helps them.